Price: From US$6200 per person sharing. 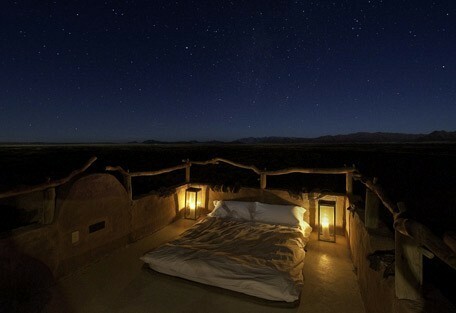 This superb 6 night safari circuit takes guests to three of Namibia's most outstanding safari destinations. From Windhoek, guests are flown to Sossusvlei - characterised by the rolling burnt-orange sand dunes; home to desert-adapted antelope, such as the oryx and the bat-eared fox. 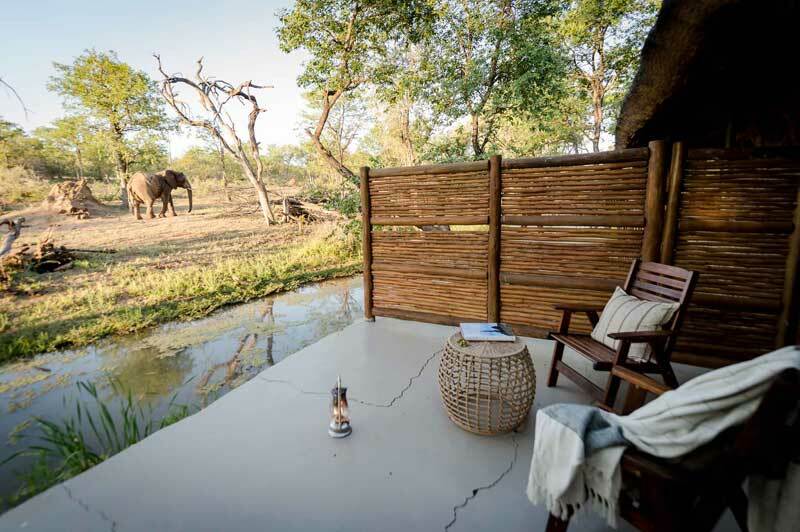 2 Nights spent at the uniquely luxurious Little Kulala will settle these lucky travellers right into the slow-paced routine of the Namibian safari. Next, is a flight to Damaraland, offers beautiful views across barren plains, ancient valleys, rocky crops as well as the Brandberg Mountains. 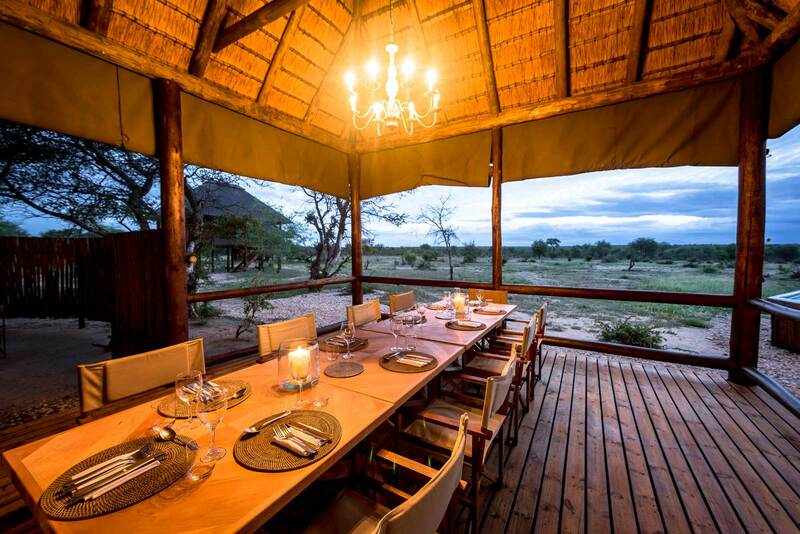 Here, at Damaraland Camp, guests will have the opportunity to partake in nature walks, game drives and mountain biking, whilst absorbing the magnificent scenery. 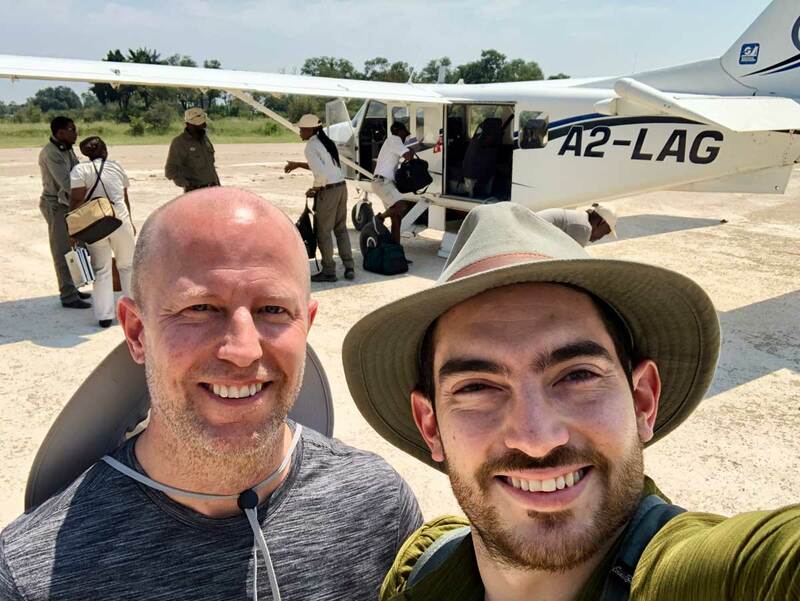 Lastly, guests are flown to one of the most inaccessible areas in Namibia, where they will have the opportunity to experience the world's oldest desert, while also enjoying the view of the Kunene River in the Hartmann Valley. After 2 nights here at Serra Cafema Camp, the tour ends with a departing flight back to Windhoek. 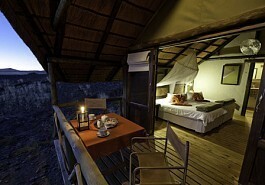 From US$ 6200 in Low Season to US$ 7900 in High Season per person sharing. 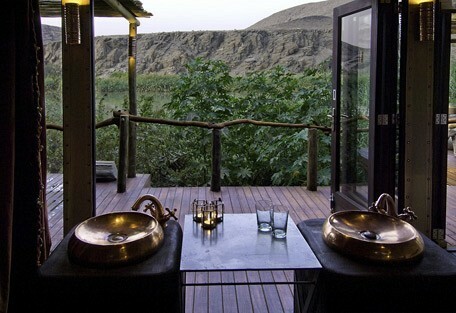 Little Kulala is luxurious and unique and offers guests an exclusive desert experience. Situated in the private 37 000-hectare Kulala Wilderness Reserve, the gateway to Namibia's Sand Sea, Kulala promises privacy and intimacy in this extraordinary and fascinating region. 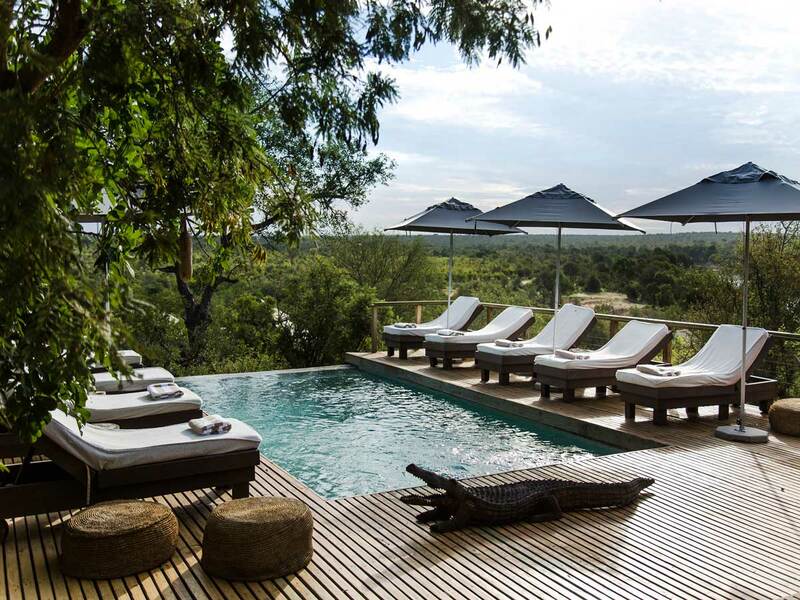 Guests are accommodated in 11 thatched chalets with beautiful fittings and fixtures, innovative bleached decks each with a private plunge pool. 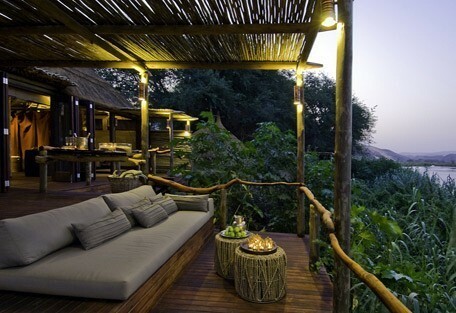 Each kulala/chalet has a rooftop sky-bed for romantic stargazing, with indoor and outdoor showers. 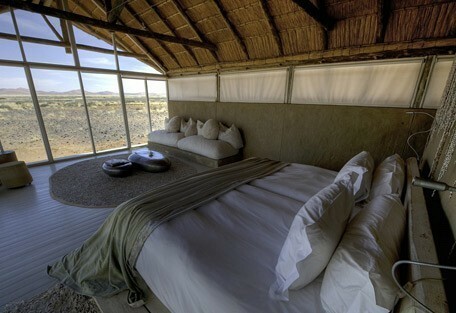 Here is where guests will spend the first two nights in the Namibian wilderness. Sossusvlei is situated within the Namib Desert, the oldest desert in the world, which is part of the Namib Naukluft National Park that stretches 400km south of Walvis Bay. The Kulala Wilderness Reserve offers desert-adapted wildlife such as ostrich, springbok and gemsbok. Sossusvlei is where huge red dunes and flat valley floors make up the archetypical view of the Namib that is world famous. 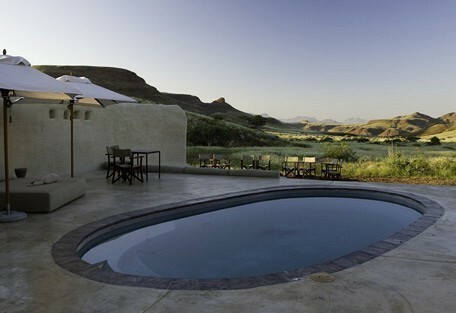 For the following two nights in the Namibian outback, guests fly to Damaraland Camp in the Torra Conservancy in Damaraland. This is an award-winning camp, remotely situated high on the north bank of the Huab River in a prime wilderness area in Namibia. 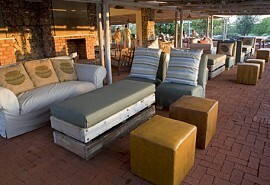 It offers sweeping views across stark plains, ancient valleys and the Brandberg Mountains. 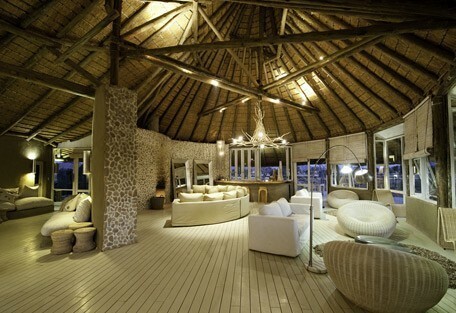 The camp consists of 10 spacious, ensuite units that are raised off the ground and adorned with thatch roofs. Chalets are lavishly equipped with a walk-in dressing area and a large deck from where guests can enjoy the wonders of the desert. 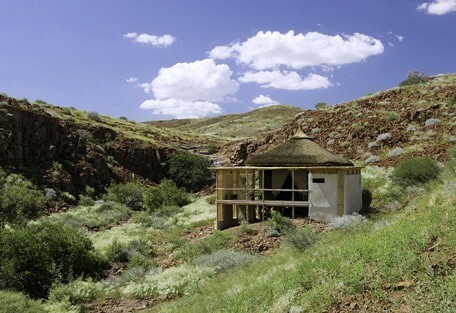 Activities at Damaraland Camp include guided nature drives, walks and mountain biking, giving guests the opportunity to see species such as desert-adapted elephant, gemsbok, greater kudu springbok, and occasionally cheetah, as well as, black rhino. 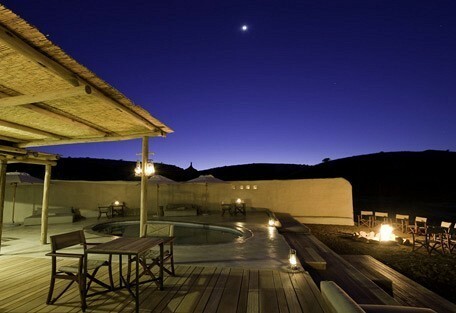 Evenings at the camp present an open campfire and outdoor boma for atmospheric star-gazing and socialising. On the morning of day 5, guests fly to one of the most inaccessible areas of Namibia - the Kunene region. 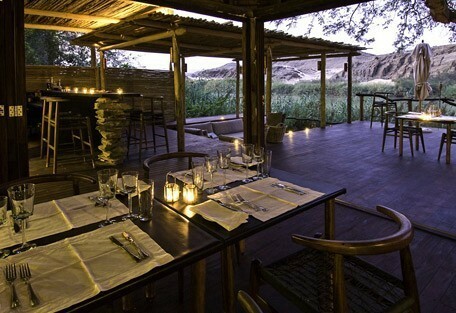 Serra Cafema is an exclusive camp situated on the banks of the Kunene River within the vast Hartmann Valley, surrounded by the Namib Desert. 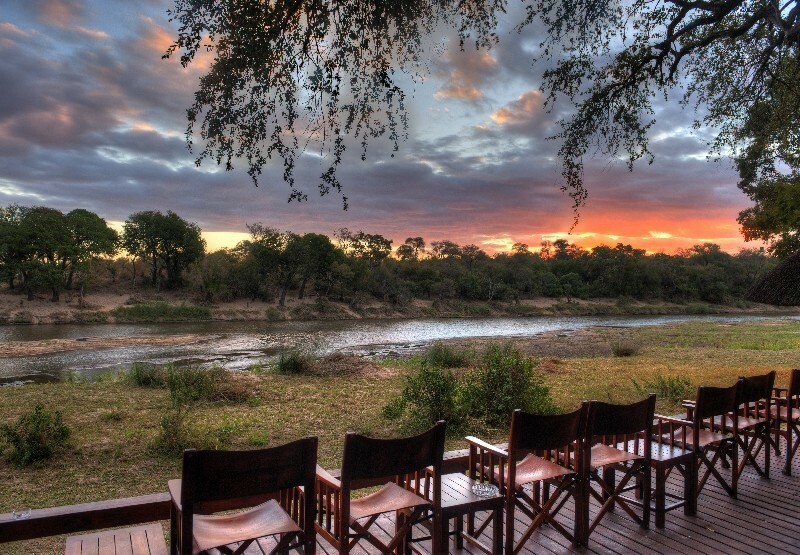 The Kunene River is the only water source in the region creating a tranquil sound of flowing water amongst a peaceful atmosphere at the camp, while breath-taking scenery can be enjoyed from the 8 luxurious canvas and thatched chalets. The Kunene River offers a large population of Nile crocodiles, which is otherwise an irregularity in a desert. Burchell's courser and Benguela Long-billed lark are among the characteristic bird species to be found in this area. Walking in the remote mountain and river valleys is a highlight, as is a visit to a Himba settlement, for a unique cultural experience. Guided quad bike excursions take guests out for gentle rides on the dunes, while allowing guests to experience the beauty of a true desert. After breakfast and morning activities in Hartmann Valley, guests are flown back to Windhoek airport in time for their onward travel arrangements.